For the inexperienced individual that has no experience dealing with a trampoline they can provide quite a problem when the need to be removed and disposed of. Trash Can Willys is experienced at quickly disassembling and removing trampolines from properties. We have removed hundreds of them and we are always sure to recycle the Aluminum and metal to help keep our landfills free of senseless debris. 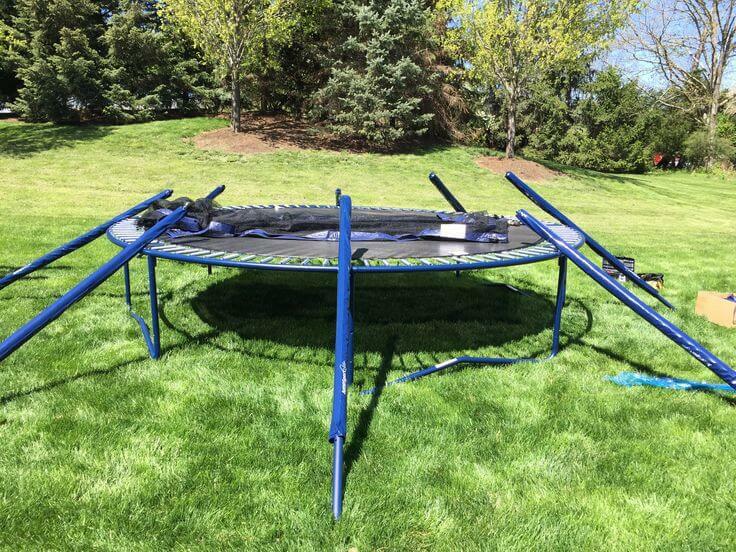 We can typically get a trampoline disassembled and removed from a property within 48 hours of a customer calling. We carry all the needed insurances to handle such a job. Also, because we recycle the parts we can typically remove a trampoline for less than any other company in New England.